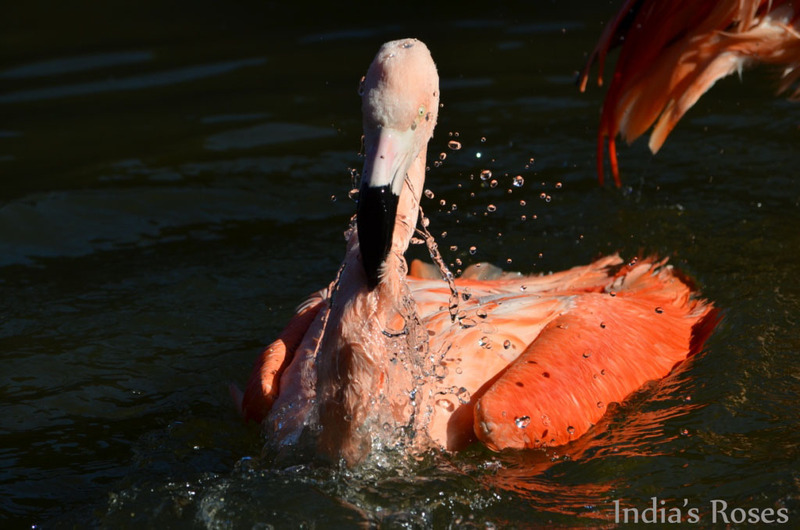 This week the pink flamingos were playing in the water at the Sequoia Park Zoo in Humboldt County California. 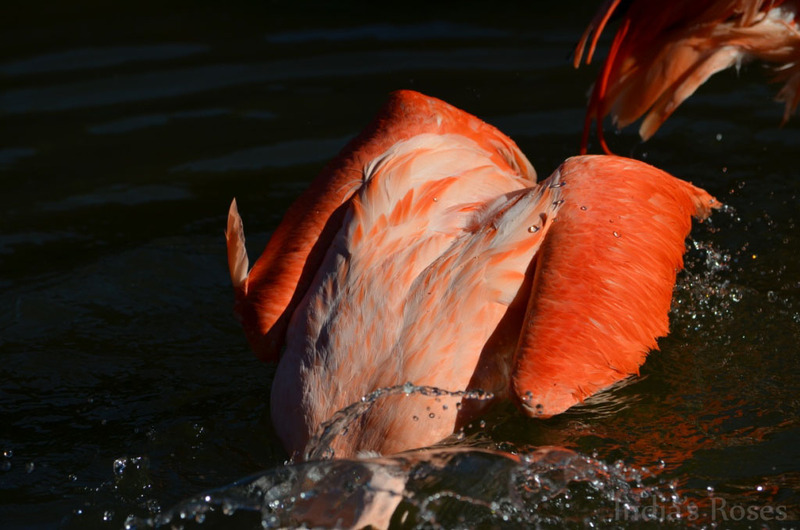 The sun was shining so brightly on them as they splashed around I was able to capture this particular flamingo as it bathed in the shallows. The combination of the sunshine on the water and the camera settings I used allowed me to freeze the movement and the water perfectly. 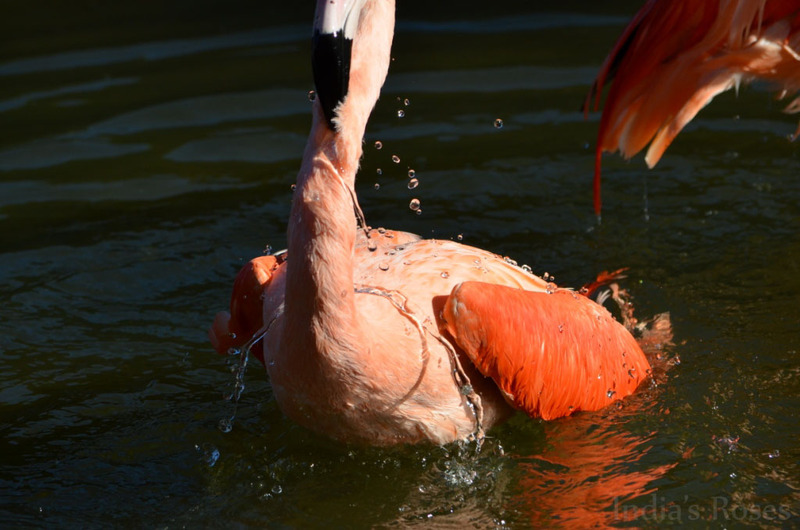 Next time you find yourself with a sunny day and splashing water give it a try.